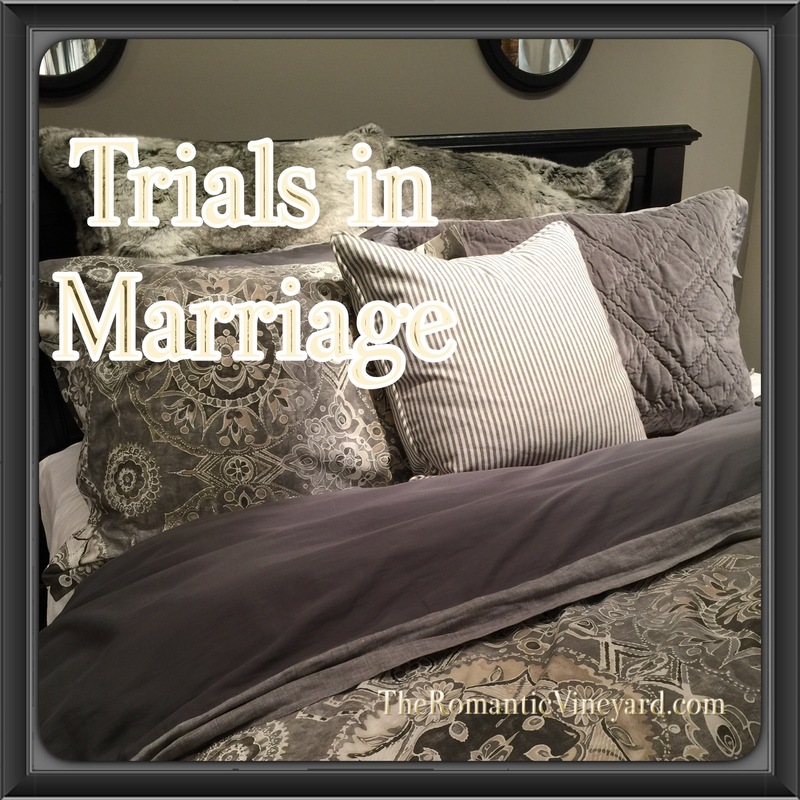 Today we want to talk about being a son-in-law or daughter-in-law. When Tom and I got married we couldn’t wait for our new life to begin. He lived in another city, so I not only changed my last name, I changed my city and my job. Add to the fact that I had never lived apart from my parents, I was in for a huge adjustment. Tom, on the other hand, had lived on his own for quite a few years. And both sets of his parents lived across the country in CA. He was used to life on his own and was more than ready to share his address with me. A few months after our wedding I became quite ill and needed surgery. It wasn’t major, but since I had never been in the hospital before, my Mom was worried. Unbeknownst to me she offered to come stay with us . Tom wanted to reassure her that he was capable of caring for me, so he told her that her coming wasn’t necessary. He thought this would bring her peace, but instead she felt pushed away–unneeded. It took a long time for us to convince her that Tom didn’t mean to hurt her or exclude her. This is the type of relational conflict that can occur when least expected. We can talk and think we’ve communicated, but may be completely unaware that miscommunication has taken place. Tom and I have found that the best way to prevent this, even in our own relationship, is to repeat back to each other what we heard the other say. So many times conflict could be avoided by asking this simple question. We make assumptions, and they’re too often wrong. Another good idea is to allow your spouse to communicate with their parents when it comes to difficult situations where emotions are high. For example, making plans for the holidays–who is going where, what to bring, how to exchange gifts, what time to arrive, etc. All topics such these are easier to discuss and find resolve when the parents are able to talk with their own son/daughter about it. As Christians it is also a privilege to pray for our MIL and FIL. Until our own children grow up and move away, we have no idea what it feels like to be in this season. Extending grace for words spoken abruptly comes easier when you’ve been praying for someone. Try to put yourself in their position, and maybe it will help ease the tension when you find it hard to relate. We’ve heard so many varieties of ways couples have compromised in order to make both sides of the family happy. Some alternate between families for the holidays–one year at the husband’s side, the next year at the wife’s. Other’s celebrate Christmas a day early to allow the young family extended time with each side of the family. But the holidays aren’t the only times when communication is needed. If you live close it’s important to keep the lines of separation clear. The in-laws shouldn’t stop by anytime without asking, and this goes both ways. Showing common courtesy and respect will go a long way in keeping your relationships healthy. But what about when your MIL or FIL chooses to cross the lines even after talking to them about it? This is an issue that your spouse needs to address, and I would suggest without you present. It’s easy for the MIL or FIL to blame the spouse for the problems, since none of this happened until they were involved. But this isn’t necessarily the case. A new marriage requires changes and the one who feels the changes in large part are the parents left behind. Don’t get angry when they do things you don’t like. This only complicates a difficult situation. Talk, talk and then talk some more. Be willing to ask the hard questions to come to complete understanding of where the other is coming from. What a privilege it is to help our spouse honor their parents by the way we love, pray and care for them. In what ways has it been challenging for you to do this? This entry was posted in Caring for Parents, Christian Marriage, Difficulty and tagged Daughter-In-Law, Ephesians 6, Father-In-Law, In-Law Relationships, Mother-In-Law, Son-In-Law. Bookmark the permalink.